On Tuesday, September 11, a man was sentenced to death and stripped of his politcal rights by a court in Guangdong province. Liu Chunlu started a fire inside a KTV bar around 12.30am, which took the lives of 18 people and injured three others back on April 24 of this year. According to Xinhua, the defendant committed the arson after being turned down by a waitress he was hitting on. Later, he was allegedly interrupted during a business discussion by an unidentified KTV patron. He stated in court that he was angry after those events transpired. To vent his anger, Liu parked his motorbike near the entrance of the establishment and removed his oil pipe, leaking the oil onto the ground. His friends pleaded with him to stop, but Liu ignited his lighter and started the deadly blaze. There was not enough time for the 18 people located on the second and third floors to escape. Liu fled the scene immediately afterwards and was taken into custody by 10am that same day. 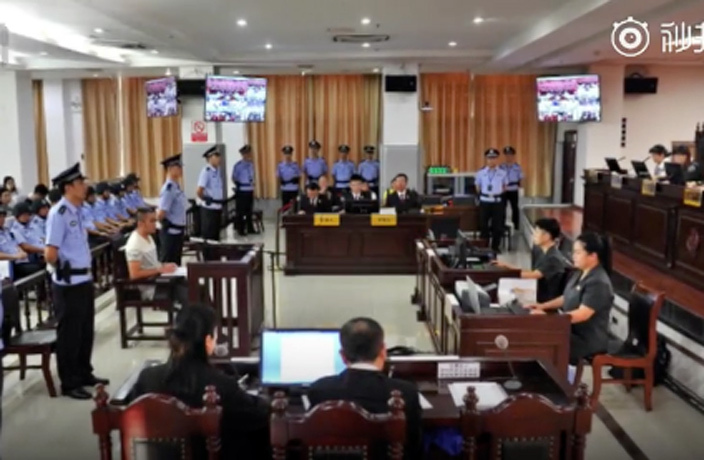 On April 24, just days after Liu’s arrest, ‘The People’s Jury Law’ was enacted as a brand new system to make rulings on severe criminal cases (prison sentences of 10 years or more, life in prison, the death penalty and other cases that heavily influence society). The new system calls for three judges and four jurors to form a seven-member panel. The Intermediate People’s Court of Qingyuan City sentenced Liu to death on Tuesday with this new panel. This was the first sentencing in Guangdong under the new system, according to the Shaanxi Province People's Prosecutor Office official Weibo account. Netflix features a savory new show on Chaoshan eats, and it's worth your time. Temperatures are expected to dip this weekend in Guangdong province, with Guangzhou and Shenzhen both set for a cool down. A VPN crackdown by the Ministry of Industry and Information Technology has been underway since 2017. Calling all Egyptians, lovers of antiquities and history buffs!